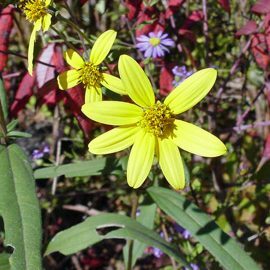 This late-summer and fall-blooming sunflower is found in just 12 counties in the North Carolina Piedmont, and in two counties in South Carolina. It once thrived in the open grassy Piedmont prairies common in the Southeast before European settlement. The tuberous root once provided a food source for native Americans. In the last several hundred years, though, farming and the lack of frequent fire in the landscape has reduced the once-widespread prairies to small, isolated patches found often along sunny roadsides or powerline rights-of-way. Restoring habitat for Schweinitz’s sunflowers helps preserve many other plants native to the Piedmont prairie as well. In 2001, a North Carolina Department of Transportation (NCDOT) paving project threatened thousands of federally endangered Schweinitz’s sunflowers growing at the edge of Mountain View Church Road, northwest of Asheboro, North Carolina. Because no federal funds were involved in building the project, there were no funds available for relocating the plants to a secure location. 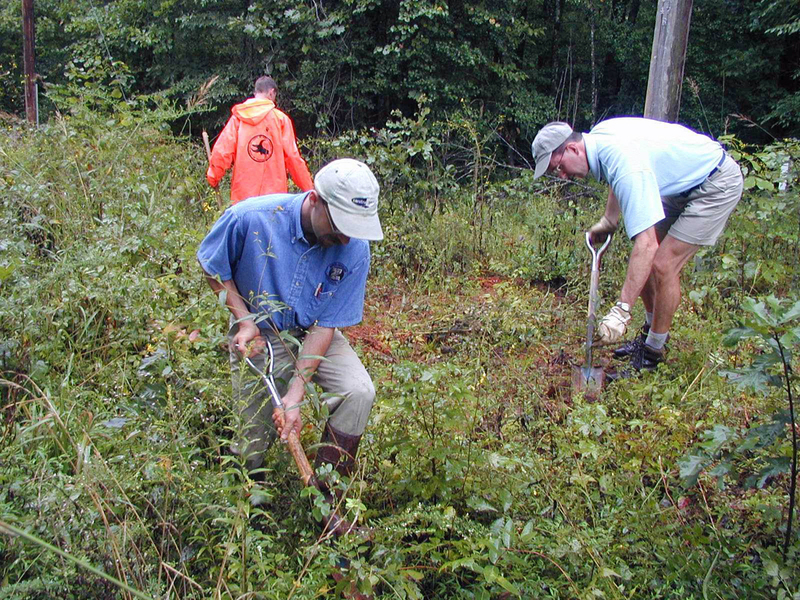 Many people and organizations worked together to save the plants. Asheboro residents Ellen Howell and David Norcom donated a conservation easement on a one-acre triangular tract of land to the Piedmont Land Conservancy. Twenty-two workers from NCDOT, the North Carolina Zoological Park, the North Carolina Plant Conservation Program and the United States Fish and Wildlife Service rescued the endangered plants from the narrow road shoulders and ditches and carried bucket loads of sunflowers to the adjacent easement site for transplanting. 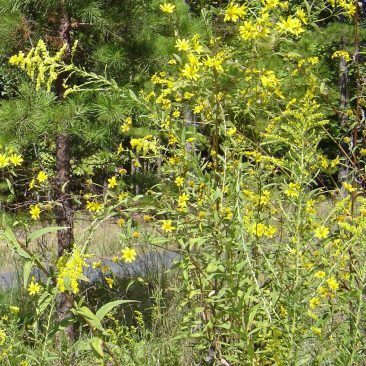 The new sunflower site, now known as Caraway Prairie, is managed by North Carolina Zoo horticulturists to provide a protected, off-road site for the sunflowers to grow. Over time, tree removal, invasive plant control and prescribed burning are replicating a slice of Piedmont prairie—the sunflowers’ native habitat. Yearly monitoring indicates that the plants are thriving in their new home. This timely, Zoo-led relocation project prevented the sunflowers’ extinction in this corner of Randolph County. In the summer of 2010, Nell Allen, the North Carolina Zoo’s Rare Plant Curator, along with Contract Botanist Moni Bates, helped staff members from NCDOT’s Natural Environment Unit and Division 8 dig about 10 federally endangered Schweinitz’s sunflowers and about 24 rare Georgia asters from the side of Old US Highway 64 in western Randolph County. A road-widening construction project followed on the heels of the rescue. 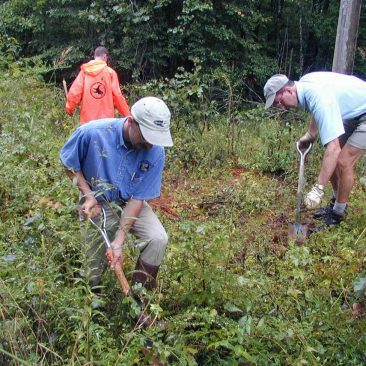 These plants were planted at the Caraway Mountain restoration site, also in western Randolph County, where plants from several former roadside locations have already been established. 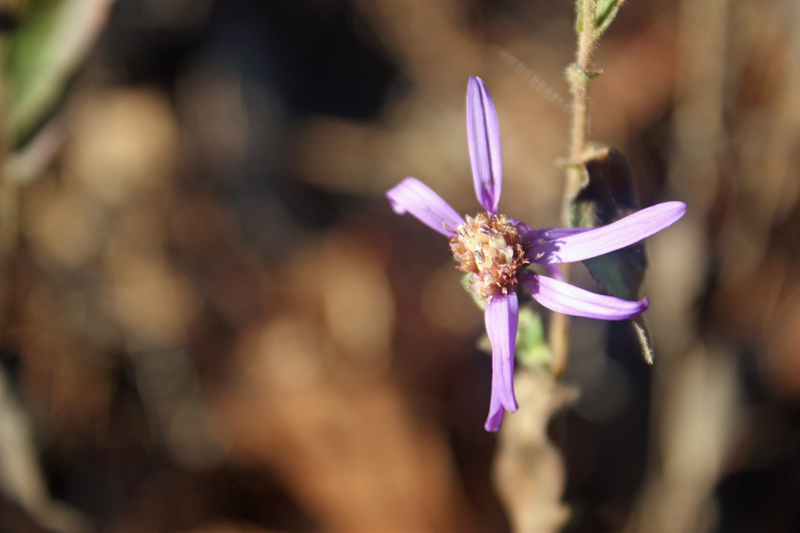 Like the endangered Schweinitz’s sunflower, the Georgia aster (Symphyotrichum georgianum) mostly lives in the sunny open habitat provided by roadsides and power lines. 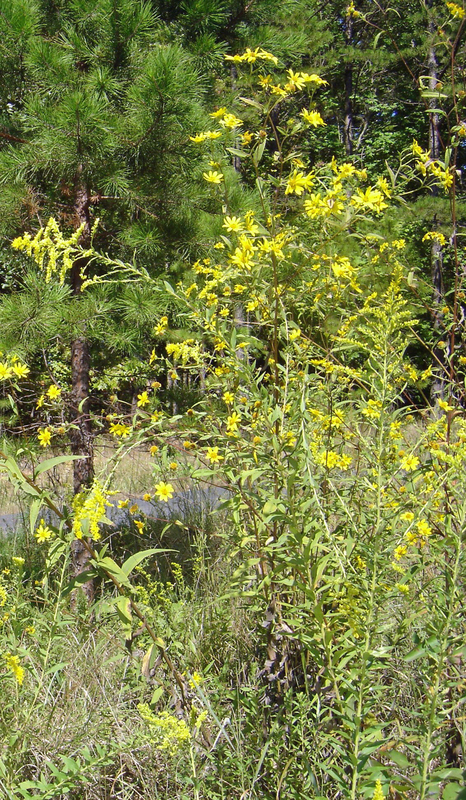 This plant is classified as “threatened” in North Carolina and is a candidate for the federal list of endangered species. 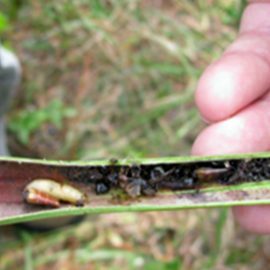 Although it is found in the Piedmont of six southeastern states, it grows in only a few places in each one. It is most widespread in Georgia and North Carolina, where it occurs in eight counties in each state. 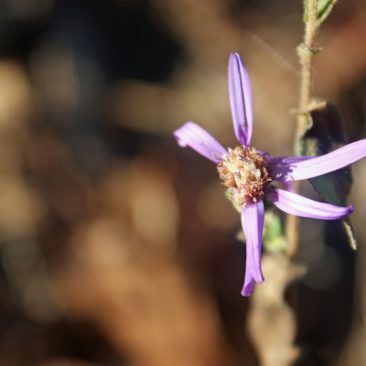 So far, three Georgia aster sites are known in Randolph County. 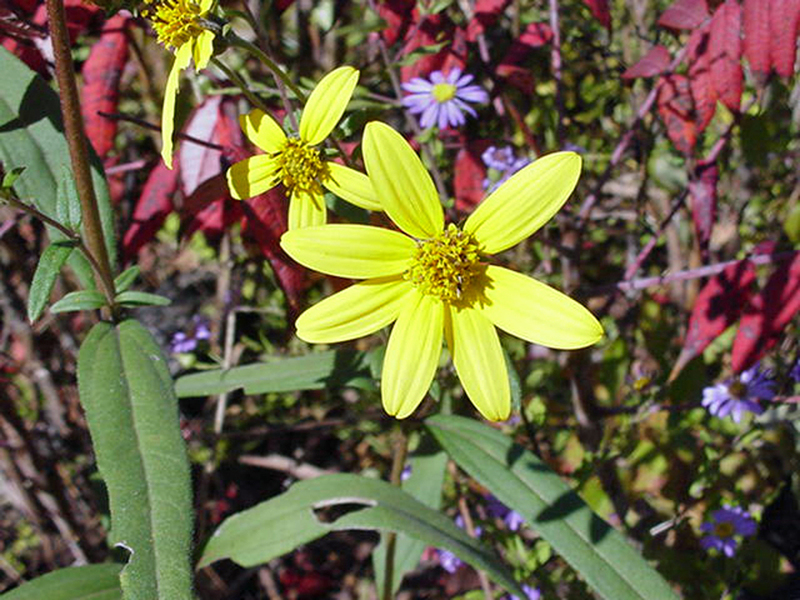 Along with several other members of the genus Symphyotrichum, Georgia aster blooms in fall, with showy purple flowers that stand out among the more common yellow and white fall bloomers.